When you drive through the Canadian Prairies in the early mornings during the months of animated agriculture, slender stalks topped with petaled flowers line the road. Stretching themselves out to the horizon in a sea of vibrant violet like a vast fairyland long forgot. They'd be considered 'Leotie' (Prairie Flower) by the Sioux peoples who are native to the lands now occupied by (mostly) European settlers, including Lois Hébert, who brought these flowering seeds over nearly 400-years-ago to "New France" (Quebec). Flax has a growing time of 90 to 125 days, it is harvested almost as quickly as hemp. Like hemp, flax requires little to no fertilisers or pesticides, making it a sustainable crop to grow. The seed is harvested for linseed oil, linoleum flooring, quality oil-based paints and stains, cold-pressed flax oil, pet food, and included in livestock diets to improve health. Canada is the world's largest producers and exporters of flax, representing about 40% of world production. With annual exports valued at CAN$150-180 million, nearly 1 of every 4 farms in Saskatchewan includes flax as part of their rotation, producing four times as much as my home province of Manitoba, it's eastern neighbour. Those petaled flowers I spoke of, delicate as the wings of a moth, bloom in the morning light during the flowering season. But by the afternoon, the fairytale landscape they create is transformed as the flower sheds away and an onion-shaped seed boll begins to form. The seeds, the smallest portion of the plant which can grow up to 3 feet in length with side root branches stretching up to 15 inches, were, up until recently, the only portion of the plant harvested. For a long time, hundreds of years in fact, straw management was a huge issue as the leftover flax fiber was too thick to break down in the fields before the next seeding. So, it was burnt, putting to waste the majority of Mama Nature's hard work. Then came the aid of Biolin Research, and the creation of Flaxstic™, a renewable, environmentally-friendly and socially sustainable biocomposite material consisting of plant-based biopolymers and waste diverted flax straw components. It has created a new economy of diverted waste material, and part of supporting that new economy is having companies that can make use of this biocomposite material by producing products with it which are profitable. This is where Pela Cases comes in. When it comes to circularity, the main aim is to design out waste and pollution from the lifecycle of the product. A company designing with the intention of circularity tries to redefine growth by focusing on positive society-wide benefits which decouple economic activity from the consumption of finite resources. The idea is to create durable products produced in a way that natural systems can regenerate. The intention of circularity is one of the ways biodegradable plastics and compostable plastics differ. Because compostable plastics (like Flaxstic™) disappear quickly and completely, breaking down into carbon dioxide, water and biomass at the same rate as cellulose. They leave no toxic materials behind and offer support to plant growth if placed in a compost. Biodegradable plastics, conversely, break down slowly with the help of micro-organisms and can leave behind toxic residues like lead, cadmium, BPA and phthalates. 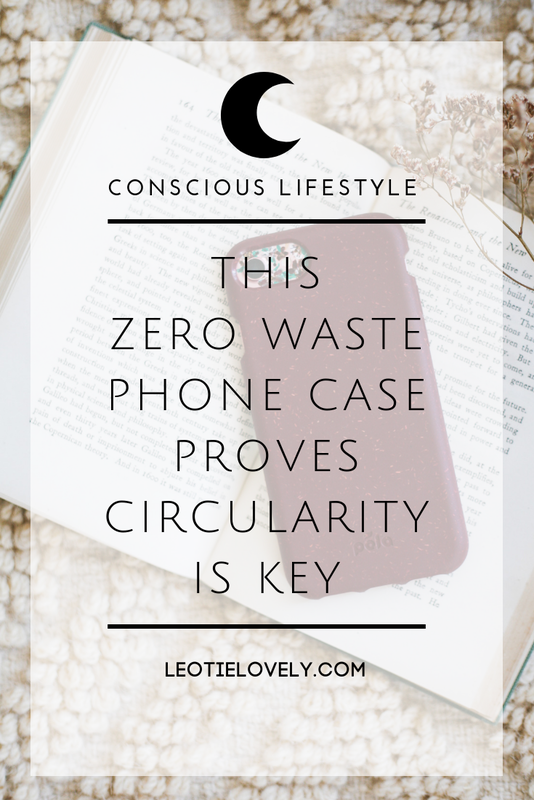 The average person keeps their phone for 18-24 months, yet the plastic phone cases we house those phones in will last for hundreds or thousands of years. 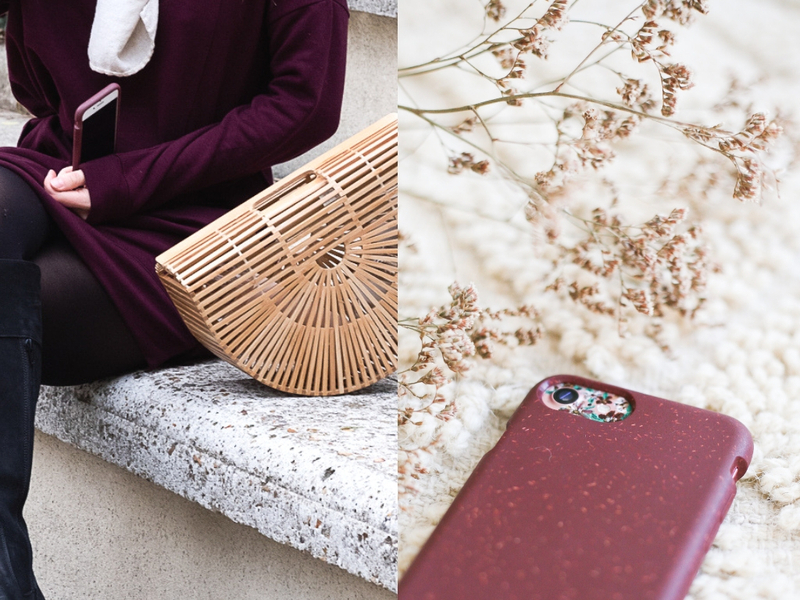 Pela was created to phase the plastic phone cases out of our lives, creating a small movement which would reduce the significant amount of pollution created by our swift smartphone upgrades. Pela's cases take this one step further by reducing waste in their creation and demise, offsetting the 'need' for non-renewable resources and replacing it with one which diverts waste cradle-to-cralde. 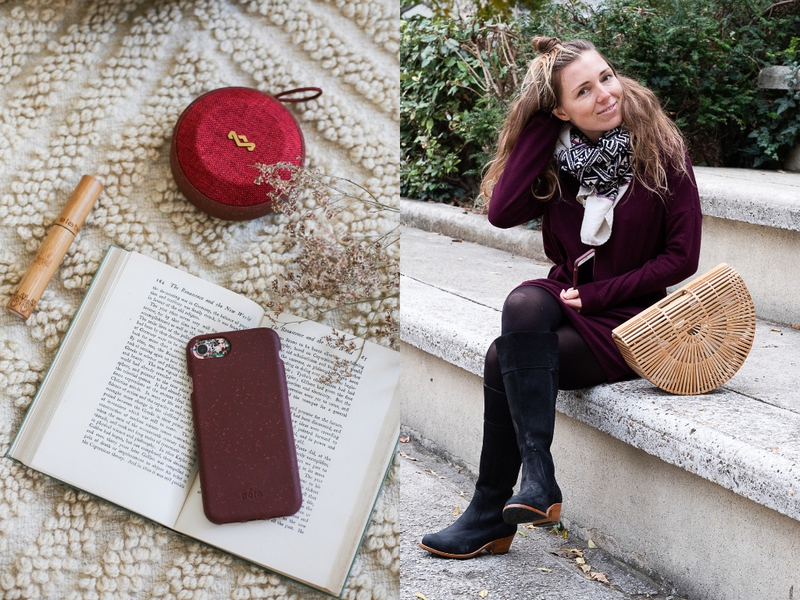 Each sale contributes to the conscious community as well, as members of 1% for the Planet, Pela donates at least 1% of sales to environmental non-profit groups. They also have a pay it forward scheme in place, sending you a referral link to share with friends and fam when you buy a case, and donating $3 to charities such as Amnesty International, World Wildlife Fund, and Unicef on your behalf if someone purchases with your link. Every single person I know working in sustainability, and all my sisters, have a Pela Case. The company has sold hundreds of thousands of cases to conscious consumers who keep coming back for more. 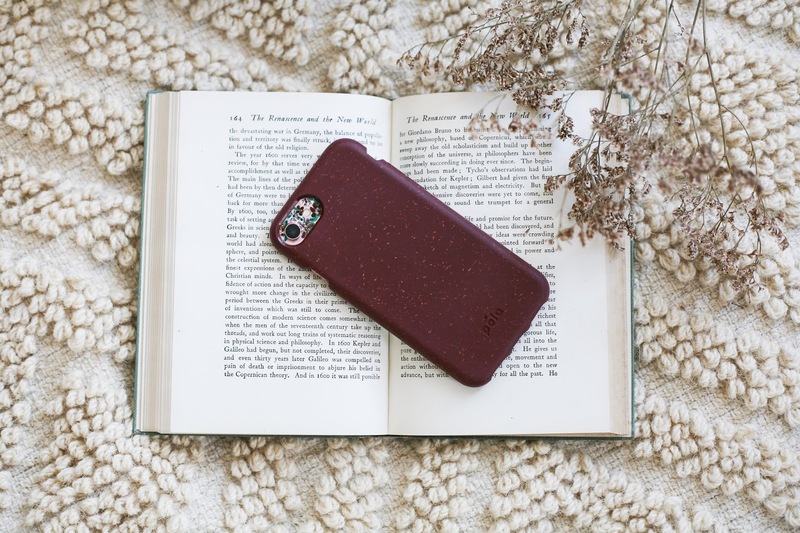 It's simply the most sustainable phone case out there and it also does the important job of protecting your phone from tumbles and falls. Pela Cases are durable, sustainable, ethical, community orientated, circular and philanthropic, the exact model of business that we need more of. 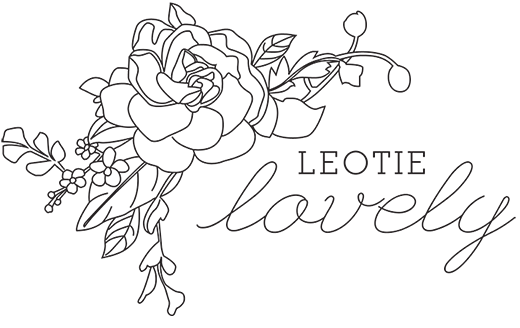 To check them out (dope stocking stuffer idea), head to their website and use the code LEOTIELOVELY at checkout to get 15% off! SPONSORED POST: This post was sponsored by Pela Case. All content, experiences, suggestions and opinions, are my own and of my own direction. It is with the support from companies like this that I am able to continue researching, writing and sharing these sustainable stories. I'm most grateful for both their support as a brand and yours as a reader.